^ Fraxinus L.. GRIN. USDA. 2006-04-03 [2010-02-22]. 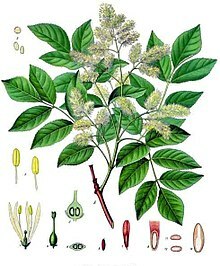 ^ Species Records of Fraxinus. Germplasm Resources Information Network. United States Department of Agriculture. [2010-02-22]. ^ Fraxinus L.. ITIS Standard Reports. Integrated Taxonomic Information System. [2010-02-22].